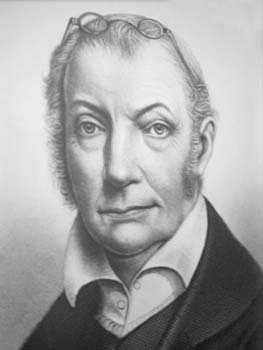 An over-weening ambition, a gift for intrigue, uncompromising, Aaron Burr might better have shunned the political arena. After serving with distinction in the Revolutionary War, he was still a young man with brilliant promise in law, but patience was not one of his virtues.Among four candidates, he tied with Thomas Jefferson for the plurality of 73 electoral votes and by constitutional provision a choice was made by the House of Representatives. Jefferson became president and as then provided, Burr was the vice-president, thus attaining the second highest office in the nation; but while still in that position he declared for Governor of New York.Denounced by Alexander Hamilton, a longtime political foe, as “Dangerous . . . unfit for the reins of public office” Burr lost, and vengefully he challenged Hamilton to a duel, then a legitimate way of settling intimate disputes. This resulted in Hamilton’s death and ruined Burr’s political career. With the country aroused by the coroner’s verdict of “Willful Murder,” Burr fled to New Orleans and there became involved in an alleged treasonable conspiracy. Although charges were dismissed by the court, Burr then left for England; but being suspiciously regarded there and accused of spying, he returned to law practice in New York. He never recovered his place in public life.